Is it wrong to celebrate Easter & Christmas? There has been a lot of buzz on the internet in regards to both Easter and Christmas actually being pagan in origin. Is it true that the 2 biggest holidays for Christians have their roots in paganism? Could we have been tricked into celebrating the Birth and Death/Resurrection of Jesus on the wrong dates? Honestly when I first heard this I defiantly wasn’t shocked at all considering we are living in the age of deceit where conspiracy and corruption dominate every aspect of society. 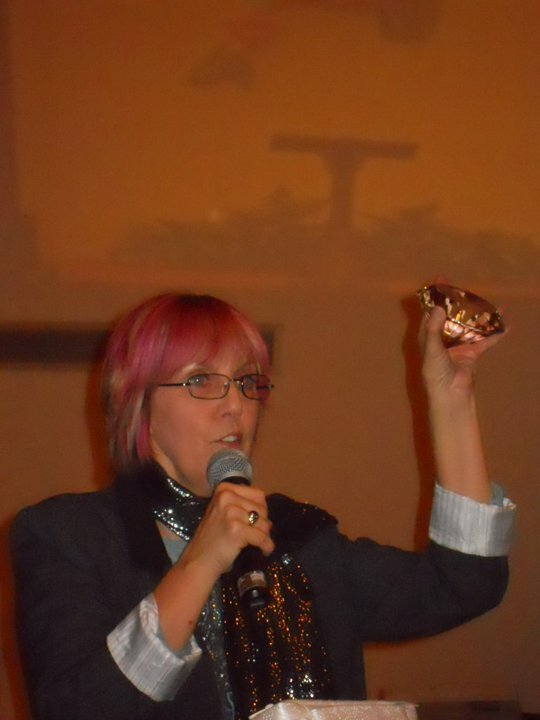 In my report on Western Christianity I uncovered how the mainstream Christian networks were dominated by false prophets and teachers put into position by the Masonic Lodges and other similar organizations. I know that this power structure religiously worships pagan occult gods, so I find it very likely that they would want to corrupt the 2 biggest holidays for believers in the true gospel. But I like to find a bit of proof that this is truly the case before I go around telling all my believing friends that their favourite holidays are abominations. Luckily I had been already reading up on ancient Babylonian mystery religions getting a firm foundation where these pagan tradition may have come from. I read many articles online, some in depth and some vague, all touching on different aspects but most did not have any solid sources at all, that is until I found the mother of all articles hitting every major point and more with many sources. I will post a link to that article and repost it at the end of this blog post. I did find 2 articles from mainstream Christian outlets actually doing a very pathetic job of defending Easter, I will bring those up in a bit. The truth is: the above list of holidays were not commanded by God for us to recognize, and when the world celebrates these holidays the truth and reality of Christ is lost in tradition and idolatrous revelry. Do you ever wonder what eggs, bunnies, trees and wreaths have to do with Jesus? All these traditions stem from pagan idolatry. After the flood Noah cursed Ham’s line which gave birth to a corrupt lineage that did not serve God. They got right back into worshiping demons and occult practices. It was Nimrod that became the first world dictator post flood and the first anti-christ. It was him who built the tower of Babel and he was known as a god in his time. Since God scattered the languages Nimrod was known by many different names in different cultures including Osiris, Gilgamesh, Baal, Orion, Ra, Apollo, Tammuz and more. It was him and his wife Ishtar (also known by many names including Semiramis, Eostre and Ostara) that all paganism stemmed from. Ishtar is actually pronounced Easter in many dialects and the holiday we celebrate today as Easter lines up with her holiday not the resurrection of Jesus. Everything from the eggs to the rabbit was taken from Ishtar. And you can find many many more articles out there saying the same thing, not to mention books written on the subject. Without a shadow of a doubt a lot of these traditions on Easter and Christmas have come from pagan traditions, from Nimrod and Ishtar themselves. What about the actual days we celebrate on? If Easter is supposed to be about Jesus resurrection why is Easter not celebrated on Passover? These 2 holidays can sometimes be a month apart. Hmmm Jesus died and rose at Passover why are we celebrating it on Ishtars holiday Easter? Doesn’t really make any sense to me. The same goes for Christmas, December 25th was Nimrods birthday, and the Christmas tree was to commemorate him with the bringing of gifts. Recently it has been found that Sept 11th was Jesus’ actual birth date. We were never told to celebrate it in scripture, but I’m sure if you wanted to bake a cake and put a cross shaped candle on it he wouldn’t mind. Jesus was born on the feast of trumpets on 3 BC. This is known because of the astronomical alignment of the stars at that point in time. So if we know the truth about these holidays is it wrong as believers to celebrate them? Is it ok to mix our holidays with pagan holidays even if we change the meaning and don’t recognize or worship the pagan gods? In short I think if you have the full understanding of this you should feel some conviction on this matter and not celebrate these holidays, take a stand and go against the system. It should make you angry that satan has deceived us into pagan rituals. But for the people that don’t get it and have no knowledge of such things, God can use for good. Is it not a good thing if someone who is unsaved gets invited out to an Easter or Christmas service and gets saved? Of course, so it is better to have preaching of the gospel under this deception than none at all! I don’t think I ever will go stand outside an Easter or Christmas service with a big sign saying “Pagan Holiday” but I will try and convince people through knowledge that indeed there is a better way to honour God with our celebration, one that will please him much more! What is that? To celebrate HIS Holidays! Yes I fully believe God would be much happier with us if we celebrated his feasts which actually are celebrated on the correct days of Jesus birth (Trumpets /September) and Resurrection (Passover). In Leviticus 23 God gave the outline of his feasts. Lev 23:1 The LORD said to Moses, “Speak to the Israelites and say to them: ‘These are my appointed festivals, the appointed festivals of the LORD, which you are to proclaim as sacred assemblies. Do you see how God said “these are MY appointed festivals, the appointed festivals of the LORD“. He did not say these are the feasts of the JEWS only for a short time period until Jesus comes. These are not feasts of the Jews but they are Gods and most likely these are the celebrations that happen in heaven and God wants it happening on earth as well. Christians use the excuse “that’s old testament law we are under a new covenant now” all the time and dismiss even the notion that they should celebrate the feasts or keep the Sabbath. They think they are free from some burden now that Jesus has come, thinking it’s so much easier not to live under the law and have to celebrate these festivals and Sabbaths. This is not a matter of salvation as Paul said ” One person considers one day more sacred than another; another considers every day alike. Each of them should be fully convinced in their own mind.” (Romans 14:5) If you don’t celebrate the feasts you’re not going to go to hell, but what I am going to do is put forth some wisdom and knowledge so you will be fully convinced in your own mind what is correct. I am not going to go into a detailed description of what each feast represents but each one has very deep spiritual meaning to God’s plan for humanity and most are pointing to Yeshua and his redemption. There is no evidence in scripture telling us to stop celebrating God’s appointed feasts. So are you trying to tell me God doesn’t even care if we celebrate HIS holidays, are you telling me he is alright with you celebrating the 2 most important events in God’s plan for humanity on the wrong day with pagan traditions that were originally meant to honour false god’s? Rob Skiba put it best when he said it is like you cheated on your wife and then years later after you have made up with your wife, every year you forget her birthday but on the women you cheated with birthday you bring a present to your wife and say happy birthday dear! How do you think your wife would feel? How do you think Yeshua feels when you celebrate his birthday on Nimrods, the embodiment of false gods? People think honouring the Sabbath is old testament even though it is part of the 10 commandants. Christians all worship on Sunday which honours the sun god. It’s not the end of the world if we celebrate on Sunday but the truth is that we don’t even make it a Sabbath. The Sabbath is to be celebrated from sundown on Friday until sundown on Saturday. This is when you REST and focus on God and Family! Wow a whole 24 hours of rest during the week, now who wouldn’t want this! Think about how much closer you would be with to God and your family if we only kept the Sabbath. Instead we choose to go the way of the world and worship on the devils holidays where he makes us work like a dog. Do you remember that nothing was open on Sunday’s and it was more of a family day for society? Not anymore, the devils system goes 7 days a week 24 hours a day completely nullifying any Sabbath. Think of how much work putting on a Sunday service is and how much community really takes place? Think about how much work goes into a Easter production? What if there was a feast that fed the poor and told them the gospel that day? What if your whole city shut down for Passover and every banquet hall and conference center was booked to feast in celebration of Yeshua? What a testimony and Ishtar oops I mean Easter would be no more! This is what has happened, the anti-christs have risen through the beast system and changed the set times and laws. Everything about our society is pagan and contrary to God including the current calendar, so no wonder we worship and celebrate on the wrong days. There is much blessing for celebrating things Gods way and if the church truly got this many of its problems would disappear. Is that why there are many believers that have made a stand to keep the Sabbath, and start honoring some of the ways of the Jews? I believe the spirit of prophecy is trying to give the church a hint. By doing this you will be making a big statement to the devil that you are not going along with his system any more, and in turn will receive a blessing instead of a curse. I believe in times past where ignorance and deception ruled it was more acceptable, but today God is leading his people out of deception. As the end approaches it will become more mandatory that we do things God’s way because if it is truly our day that the anti-christ is setting up his world wide system than it’s going to be one or the other, either you worship satan or you worship YHWH. Let’s take a look at Bible Gateways article written by Mel Lawrenz. It basically says in a few short paragraphs don’t worry there is no direct association with a pagan festival it’s just the name of a month and even if it was it’s ok to just to Christianize pagan things, it’s our way of showing that we trump the devil…don’t worry kids just take my word for it no need to do another google search to find the truth just go back onto facebook and don’t question anything. So this guy writes 3 paragraphs and expects itto win an argument over any of the previous articles I posted above? The guy who had done pages of research referencing whole books written about Easter being pagan? I guess we should just take his word for it folks, all those other people with research and facts must be wrong. It is my belief that Western Christianity is completely controlled from the top and most of the big names and institutions are run by free masons and occultists. You may find it hard to believe but I did over 100 pages of research on this topic if you care to take a look. I could have no other conclusion given what I had found. So sometimes I look into things to see if I can make any connections. He received his B.A. in English from Carroll University, his Master of Divinity from Trinity Evangelical Divinity School, and his Ph.D. in historical theology from Marquette University. He has stepped down as mega church pastor to work on The Brook Network dedicated in education. The first thing I look for in ministry sites that are run by pagans is pagan symbols. They love to put some pagan sign out in the open like a calling card. 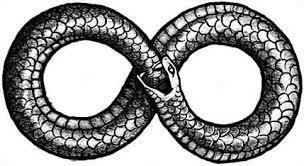 “The use of a figure eight to represent infinity is an interesting choice, as eight is linked to the pre-creational infinity through the Ogdoad, the primeval forces of chaos in Egyptian mythology, represented as eight deities which existed before the creation of the sun god (the gods and their corresponding goddesses being Heh and Hauket, Amun and Amaunet, Nun and Naunet, Kek and Kauket). The use of the figure eight can also be linked to a cyclical sense of infinity through the eight pagan festivals of the year and the octagram (an eight-pointed star symbolic of fullness and regeneration). The infinity symbol also represents the 8 pointed star of Ishtar. Ok let me get this straight, the guy who they got to do the article to defend Easter uses the pagan infinity symbol that is linked to the 8 PAGAN festivals and to Ishtar. Wow! And if scroll down on the Brook Network page he has an article up” ‘knowing him,’ an Easter Devotional”, and further down one on Christmas as well. Check out his book “Spiritual Influence” which states; ” If you are in a position of positive influence, if you exercise leadership in any way, your faith in God gives you a power- a Hidden Power -that will allow you to make an enduring difference in the lives of other people and organizations. But how does that power work? I have done enough research to know that this guy seems to be inserting his new age beliefs into Christian teaching. This has been the agenda all along. The Occult are the ones that have the “Hidden Power” we in turn have the unmasked power of God at our disposal! Anyhow this is not the point of this article to go down these rabbit trails I just wanted to give you a glimpse of where this “official” view of Easter is coming from. This second article written for Christianity Today written by Anthony McRoy is no better. Who is Anthony McRoy? He is a writer who writes for both Christian and Islamic publications. Yes that’s right folks he also writes for Islam. Besides that he again uses the argument it’s not wrong to Christianize pagan things and then goes on to try and say that “Easter” is not derived from a pagan festival. He goes on to say that there is evidence that Christians celebrated an Easter/Passover holiday in the past and that any pagan connection before that is of no significance. Isn’t that the whole issue we are arguing about Christians instead of celebrating Passover celebrate on a pagan holiday making it a Christian/Pagan hybrid holiday Easter? Why would Christians just not celebrate on the true holiday and call it Passover? He goes on to try and discredit the pagan roots by saying that some Monk (Venerable Bede) really had no idea what he was talking about and had a “sketchy” understanding of the topic. Even though you can easily find the Easter linked to the ancient pagan festivals in occultist websites and books. He ends by trying to say the name “Easter” is in no way from pagan origin and simply means spring or “the month of opening”. Those are the 2 “official” rebuttals off of mainstream Christian sites. I found some other articles on old denominational websites that offered a much better rebuttal but still when you read through the deception they were still saying the same things. You make the choice who you are going to believe, I know I have. It is the time to search out the truth and make informed decisions. As I have stated earlier if you have been convinced of the truth and have the conviction in your heart stop celebration these hybrid pagan holidays which are abominations in the Lords sight. Start celebrating his true holidays. It is sad that many Christians no nothing of Feasts let alone any of the Jewish traditions we get our roots from. I recommend doing a study on the Feasts and maybe even go to a synagogue and share a Shabbat with a Jewish family.